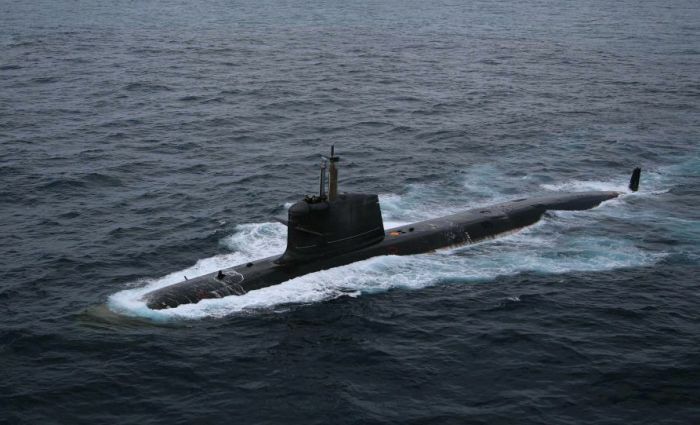 The Pakistan Navy on Tuesday claimed it had thwarted an attempt by an Indian submarine to enter the country's territorial waters. The report comes after tensions flared up between the two nuclear-armed neighbours following a terror attack claimed by Pakistan-based Jaish-e-Mohammed in which 40 Central Reserve Police Force personnel were killed in Kashmir's Pulwama district on February 14. The Pakistan Navy also shared a footage with the media, which it said was "actual". The image showed that the footage was made at 2035 hours on March 4. The naval forces claimed that it was the second attempt since November 2016 that they have caught the Indian Navy trying to enter the country's territorial waters.